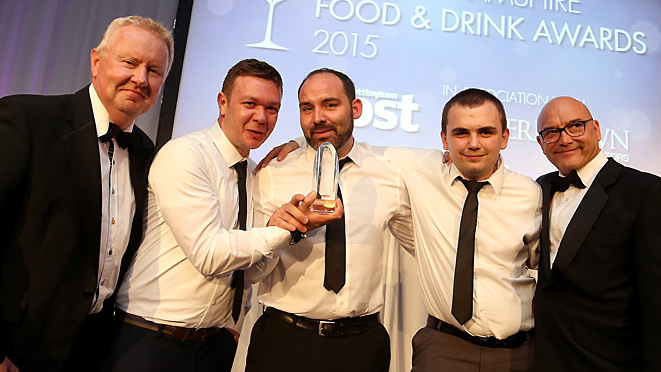 Best pub in Nottingham - we're the 2015 winners! We’d like to express ‘Massive’ gratitude for everyone that voted for us for the Nottingham Post Food & Drinks Awards last month! You may or may not know… we bloody won ‘Best Pub in Nottingham’! 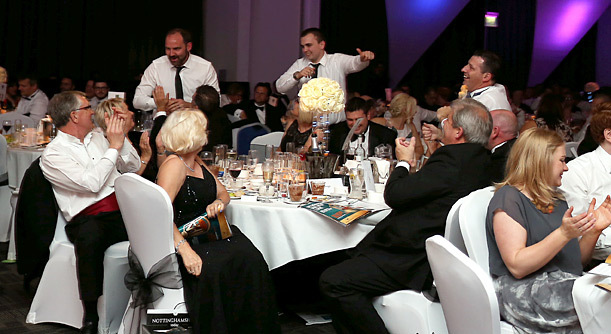 The awards were held at the East Midlands Conference Centre, and they did a great job of feeding and watering us (…maybe too much), and we met some great people from other great venues in and around Nottinghamshire. We were short-listed by votes from our lovely customers along with the Malt Cross in the City Centre & the Victoria Hotel in Beeston. We’re so pleased to have won the award after a long 5 years of turning the Four Bells into a great venue. After a few beers, and a few more beers, we had some great photos with Greg Wallace who was hosting the event! A big thanks to everyone for their support over the last 5 years and here’s to the next! IT has been a difficult decade for the pub industry in general,with city bars and rural hostelries closing by the day. But the winner of this category is a thriving village inn, at the very heart of the community in Woodborough. Scores of regulars nominated the Four Bells, extolling the excellent beer and wine,friendly staff and top quality home-cooked food. regular, a stranger, a child or even a dog. They lead a friendly team, who are attentive, helpful and humorous. Special mussels nights, enormous Sunday roasts and juicy burgers were singled out for praise. Nominator Peter Blair bigged up the high-end choice of fish, meat and game, all great tasting dishes that the pub’s customers love.”Try the chips too. Amazing!” he concluded. Love Craig & Gaynor & the team!